Monday morning, a magistrate judge scheduled the juvenile "fact-finding” trial for June 25 and 26. The teen is being tried as a juvenile as required by state law. 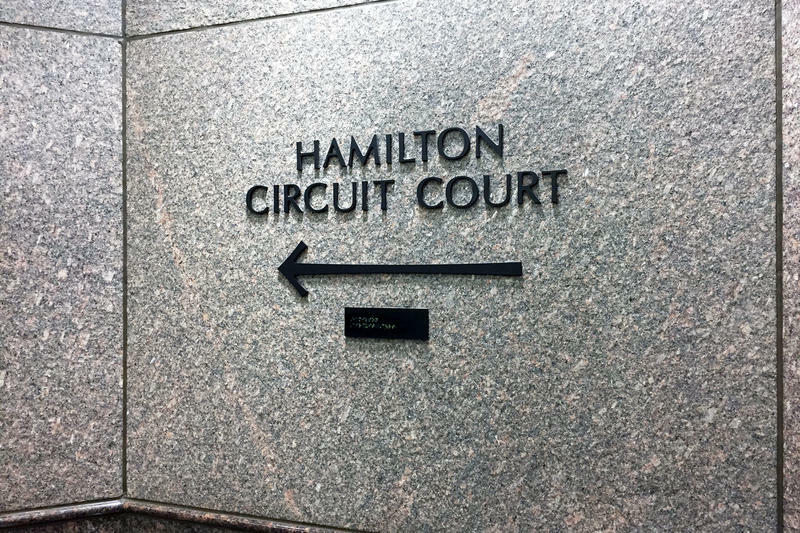 The defendant, dressed in an orange and white jumpsuit and black glasses, was in Hamilton Circuit Court Monday to hear charges against him. He sat at a table with his parents during the brief proceeding that lasted about 20 minutes. The boy’s father patted him on the back after he was brought into the courtroom and seated. His attorney, Ben Jaffe, put his hand on the boy’s right shoulder and whispered in his ear before the preceding began. The suspect answered each of the magistrate’s questions with “Yes, your honor” or “No, your honor.” He spoke clearly and kept his eyes on Magistrate judge Todd Ruetz as he read aloud the 11 charges. The suspect said he understands the charges. WFYI is not naming the suspect because he is not charged as an adult. But it is uncertain if the court hearing will happen as scheduled. Jaffe says he may seek a continuance. "A case like this, complex, with this much going on, it is unrealistic to be at a trial stage, or stage of this position, in three weeks or so,” he told WTHR after the hearing. Jaffe said he has not seen any evidence yet which will help him determine the options for his client. Cook says she is close friends with student Ella Whistler, the seventh-grader who was shot. Cook says she wasn’t sure how she felt seeing the suspect walk into the courtroom – she was at the school during the shooting. Cook says it was “just weird” to see the suspect acting so formally in the courtroom. She knows him through mutual friends. “He’s more of a joking-around kid and never actually means what he’s saying and runs around and acts crazy with his friends,” she says. The suspect faces charges from the May 25 shooting at Noblesville West Middle School, which injured two people – seventh grade teacher Jason Seaman and student Ella Whistler. Whistler was shot seven times and remains at Riley Children's Hospital. Seaman was shot three times and was released from the hospital two days after the shooting. The prosecutor's office filed a petition to charge the student with a delinquent offense, citing "acts that would be felony or misdemeanor crimes if committed by an adult." Those charges would be two felony counts of attempted murder, aggravated battery, battery by means of a deadly weapon, and possession of a firearm on school property. But, according to Indiana law, since the student is younger than 14 and not charged with murder, he cannot be tried as an adult. In a juvenile case, the defendant is found to be "delinquent" or not. There are numerous options a judge can determine if the defendant is found to be delinquent, such as placed under the wardship of the Department of Corrections until rehabilitation programs are completed, and/or ordered to receive psychological or other medical care.